I read this article and found it very interesting, thought it might be something for you. The article is called Restaurant Review: The Peppercorn at The Workshop and is located at https://www.totallydublin.ie/food-drink/restaurants/restaurant-review-the-peppercorn-at-the-workshop/. Like many of my fellow Totally Dubliners, I can fall into the trap of thinking that things that are old and broken are authentic and cool. I loved Kennedy’s next to Tara Street for its odd red stools and 1980s wooden formica tables, and the late nights I spent in there. That pub, as you may have known it, has vanished. In its place is The Workshop, a gastropub serving craft beers with a restaurant called The Peppercorn on the second floor. Maher has worked for 25 years in the service industry, most recently as a manager at The Chophouse. You can tell; everything is simple here but it’s done right. 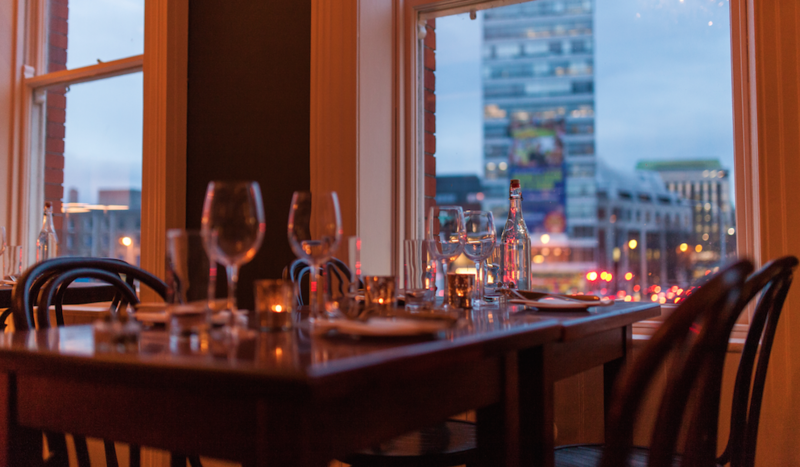 We are brought upstairs for dinner to a dining room that overlooks the Liffey, out on to Tara Street Bridge. 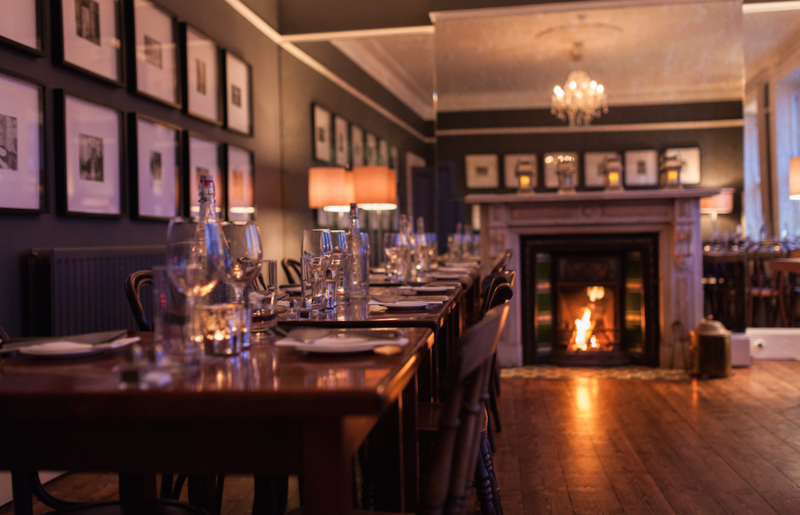 The room has its original fireplace that we’re invited to add another stick of turf to as we like, and it’s flanked by floor to ceiling antique mirrors that were flown in from France. The effect is stunning. In the kitchen is Head Chef Paul Dwyer, formerly of Dax and The Chophouse. The dinner menu is straightforward yet enticing; platters of fish and meat, mussels and frites, fish and chips and steak are among the staples on the menu. We plump for the fishboard (€12), a generous tasting of hake tempura, smoked salmon, crab salad, crispy fishcake and saffron aioli that would easily feed two. The Quinoa Power Salad (€8.50) is a huge portion too, and it feels more like a vibrant lunch dish than an evening starter. It’s one of the only vegetarian dishes on the menu so perhaps it’s intended to double up as a main course for non-omnivores. This generosity means we are pretty full by the time our mains come but we struggle on. Our bowl of steamed mussels swim in a sweet lemongrass, chilli and ginger coconut milk broth (€8.50 as a starter or €16) and the frites that accompany it are twice-cooked and crispy. My beef cheek bourguignon (€18) is as you would expect it; rich, deep, dark and oozing flavour. There’s a creamy, almost velvety mash on the side, which is much appreciated. More so than the thin strips of carrots that sit on top of the mash, which seem more ornamental than nutritional. Perhaps a less misleading garnish or a full committal to the carrots would be better next time. Maher tells us over our shared dessert of a warm, well-made chocolate and hazelnut brownie with pistachio ice-cream about the inspiration for the name of the pub. His grandfather, who was a master-cabinet maker, had a workshop in his back garden and Maher remembers regularly visiting the workshop as a boy and being awestruck. The Peppercorn looks out over what once was a working dock; the idea of a working quay and a workshop seemed to fit. Maher’s grandfather’s tools are displayed in the pub, hanging next to photographs of the old docks in their heyday. Our bill, which includes a beer, a non-alcoholic ginger-based cocktail that’s made with care and a coffee comes to €73.10. Sometimes things work better when they’re fixed. I hate to sound disloyal but I had almost forgotten entirely about Kennedy’s as I left The Workshop. It’s a beautiful location that is being used to its full potential; and with the grandfather’s tools and the work dock idea, there’s still plenty of nostalgia knocking around this pub in the shadow of the Tara Street Dart Station.